Purchasing a house right off the coast can come with a number of advantages: a relaxing environment, knick-knack shopping, and all kinds of fun-in-the-sun activities. However, one giant disadvantage is the risk of flooding. Just one bad storm could leave your oasis in a soaking mess of financial debt. Before you buy your dream house, it's a good idea to learn all about the FEMA flood insurance rate map. Our independent agents are here to help by eliminating confusion and finding the right flood insurance policy for you. What Is the FEMA Flood Insurance Rate Map? Basically, the FEMA flood insurance rate map displays communities in the US and indicates elevation levels and designated flood zones. The different zones indicate the appropriate insurance premium for specific properties. Homes located in high-risk areas will be subject to higher premiums than homes that may be in close proximity but are not marked as being high-risk. 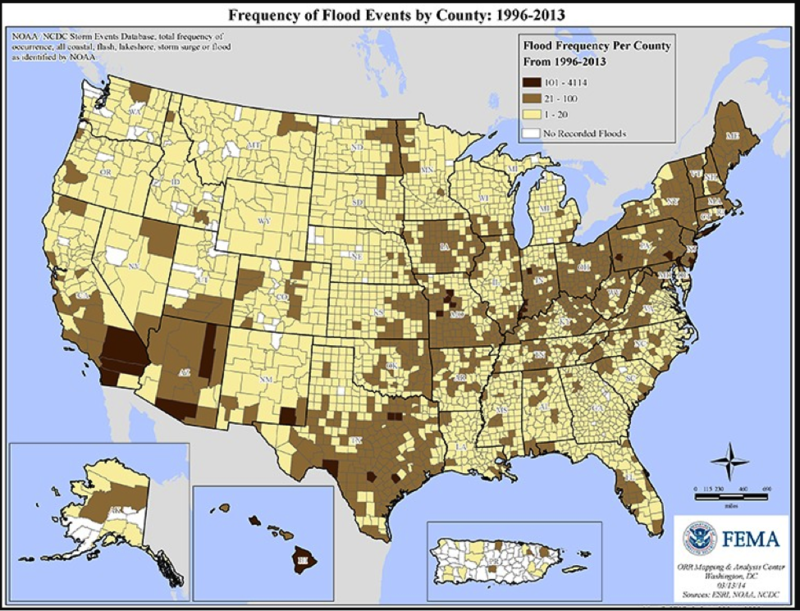 Costs are associated not only with flooding history, but also with risk of future flooding. A-Zones: Inland flood zones. Areas that are not near the coast but have a risk of flooding. V-Zones: Beach zones. Areas that see a trend of wave action and are therefore at higher risk of flooding. X-Zones: These areas are not expected to flood or are remote areas. However, 30% of all flood losses paid by FEMA are for properties located in "X" zones. Curvy lines on the map indicate how high water in a certain area has the potential to get. The map also indicates the percentage of likelihood of the water actually reaching that height, within a given year. How Does FEMA Determine a Community's Risk Level? FEMA does their best to determine a community's risk level based on past experience, observing flooding and storm trends of different locations. They also consult hydrologist studies, changes in flood maps, and changes within the communities. Communities with rapidly growing populations will be subject to new development, which could alter water's route during a flood. FEMA may work with a city on projects to reduce the risk of flooding, like building levees. Locating your specific flood zone online is easy, thanks to FEMA's official website. Visit FEMA's Flood Map Service Center and input your address to pull up the map of your community. You'll be able to see which zone you're in, as well as nearby zones and potential flood hazards in your area. Can I Change My Flood Zone Designation? Nope. However, you can change your home's elevation, which could reduce the cost of your premium. Flood insurance requirements involve measuring the elevation of the bottom of your home's lowest floor above sea level. The greater the distance, the less the risk of flooding. Once a property has flooded multiple times, FEMA may take action to require that the city dictate that you cannot rebuild property in that location unless it's elevated. Damage to/loss of your home: Including the foundation of the structure, electrical systems, indoor plumbing, built-in appliances and additional installed flooring, like carpeting. Damage to/loss of your stuff: Including furniture (built-in and free-standing), smaller/not built-in appliances, some food, valuables and clothing. *Any depreciation of your property's value will be factored into what the insurance policy pays towards reimbursement for damages. 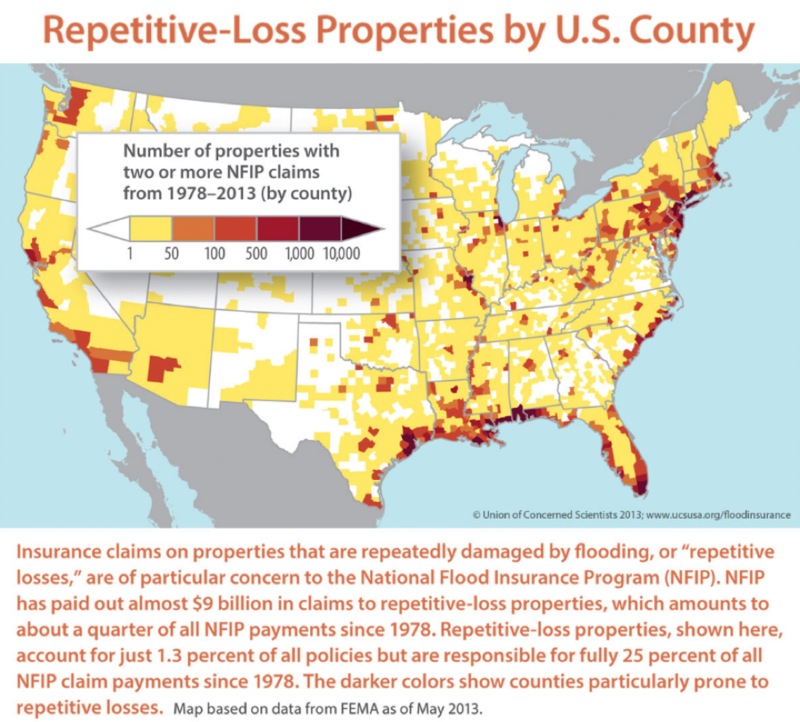 Are Insurance Costs Different In/Out of Flood Zones? Absolutely. And dramatically. Obviously, living right near the water will lead to a much pricier policy than living semi-close to the water on a nearby hill. However, houses near the shore that are built on stilts will have lower premiums than their ground-level neighbors. Any action taken to reduce flooding risk will lead to cheaper insurance. You won't be able to determine how much your insurance will cost just by looking at FEMA's flood insurance rate map. A professional will have to decipher the cost for you, based on the zone you're in and additional markings indicating flooding risk levels. The cost of flood insurance policies depends on a number of factors like location, flooding history and the elevation of your property. Basically, the further away from flood zones you are and the less history of flooding you have, the less you'll pay. Low-end: If you live out in the middle of nowhere (like, say, Pennsylvania), you might pay only $300 annually. High-end: If you live in a high-risk flood area (like, say, Houston) you might pay an eyebrow-raising $3,500 annually. Insurance policies are often complex and intricate beasts. Browsing available options can be a confusing, frustrating and nearly coma-inducing task. Independent agents exist to simplify the process. Independent agents are there to make sure you get the right coverage that meets your unique needs. And they'll break down all the jargon so that you understand exactly what you're getting. Our infinitely awesome and all-knowing insurance agents will review your needs and help you evaluate which type of flood insurance makes the most sense for you. They'll also compare policies and quotes from multiple insurance companies to make sure you have the proper protection. Sources © 2019, Consumer Agent Portal, LLC. All rights reserved. © 2019, Consumer Agent Portal, LLC. All rights reserved.